Recently at Camp — Campfire & Co.
We completed the final brand guide and had business cards printed for one of Richmond’s next breweries! 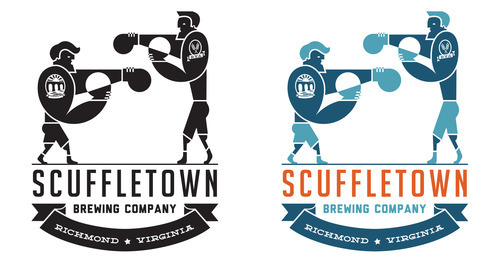 We had a blast working with the guys behind Scuffletown Brewery. They’re gearing up to launch their kickstarter campaign soon and we’ll be sure to share details when it’s live! Speaking of start ups, we also helped another small business in Chesterfield County brainstorm and choose a name as the first step in building their brand guide. Naming a business is no easy feat but we finally landed on something we all love! During the process, our good friend Ansel Olson shared The Brand Gap’s 7 tenets of a great name with us. We will definitely be filing that away as a great resource. More fun details about this business coming soon! On Wednesday, we had a chance to stop by our good friend Kate Jenning’s shop, Na Nin, for a book signing with Alex Elle. Alex is an incredibly inspiring and talented poet and writer. 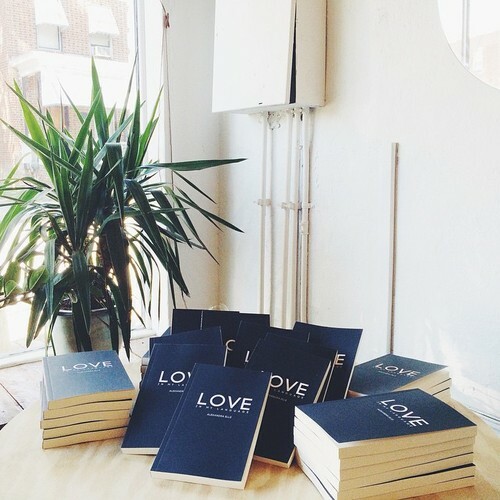 Her new self-published book, Love in my Language, includes short stories and poetries exploring the “journey of being a young mother with baggage and daddy issues, all the while trying to find her way and purpose in life.” Take moment to check out her Instagram as well for beautiful quotes and daily inspiration. We also finished up a schematic design branding presentation for Kate Hoof, another very talented female entrepreneur. Kate’s videography business, Parts and Labor, will soon have a final brand guide. Stay tuned for more details! We ended our week at the incredibly beautiful and romantic wedding celebration of two amazing friends, Christine Haines and Lenny Greenberg. Christine is the owner and #bossbabe behind Urban Set Bride in Churchill. We were lucky enough to get the chance to work with Christine on branding Urban Set last year. Congrats to the lovely couple, we wish them a lifetime of happiness!